A central aspect of urban development is that transport and urban form shape the provision of access to people, goods and services, and information in cities. This paper discusses how different urban accessibility pathways directly impact other measures of human development and environmental sustainability. A central aspect of urban development is that transport and urban form shape the provision of access to people, goods and services, and information in cities. The more efficient this access, the greater the economic benefits through economies of scale, agglomeration effects and networking advantages. This paper discusses how different urban accessibility pathways directly impact other measures of human development and environmental sustainability. 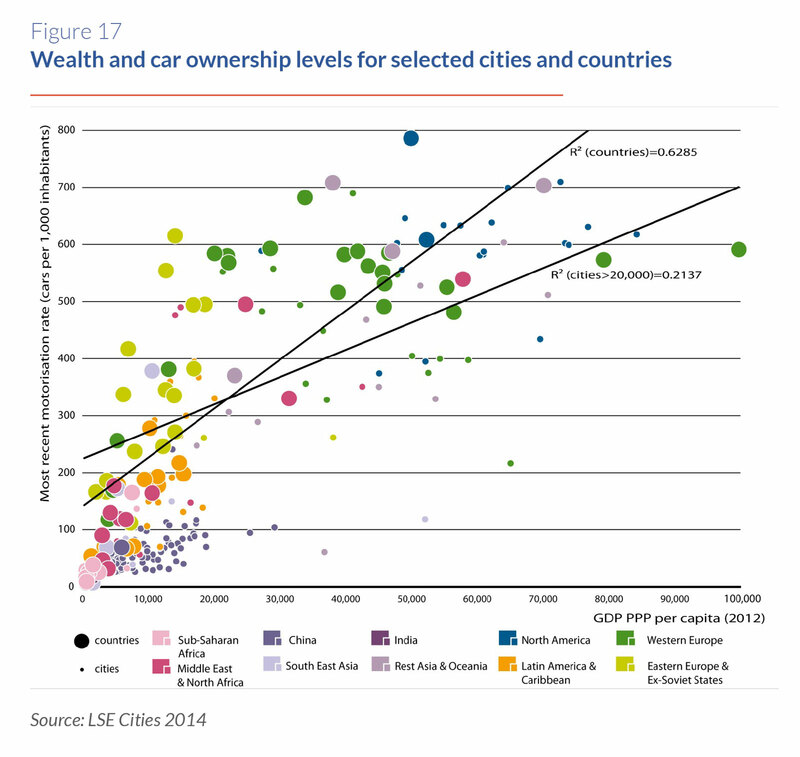 It also presents the enabling conditions for increasing accessibility and low-carbon mobility in cities. Urbanisation is one of the most important drivers of productivity and growth in the global economy. Between 2014 and 2050, the urban population is projected to increase by around 2.5 billion people, reaching 66% of the global population. We live in an urban age. Over half the world’s population now lives in urban areas, while the urban population is expected to reach 60% by 2030. At the same time, the importance of cities for national economic growth and climate change continues to increase. Three groups of cities will be particularly important for the global economy and climate: Emerging Cities, Global Megacities and Mature Cities. When combined, these 468 cities are projected to contribute over 60% of global GDP growth and over half of global energy-related emissions growth between 2012 and 2030 under business as usual. City governments are increasingly taking an active role in economic development, working to attract and retain businesses. Urban leaders around the world have different resources, strengths and priorities, but cities’ economic development and competitiveness efforts share many common elements. 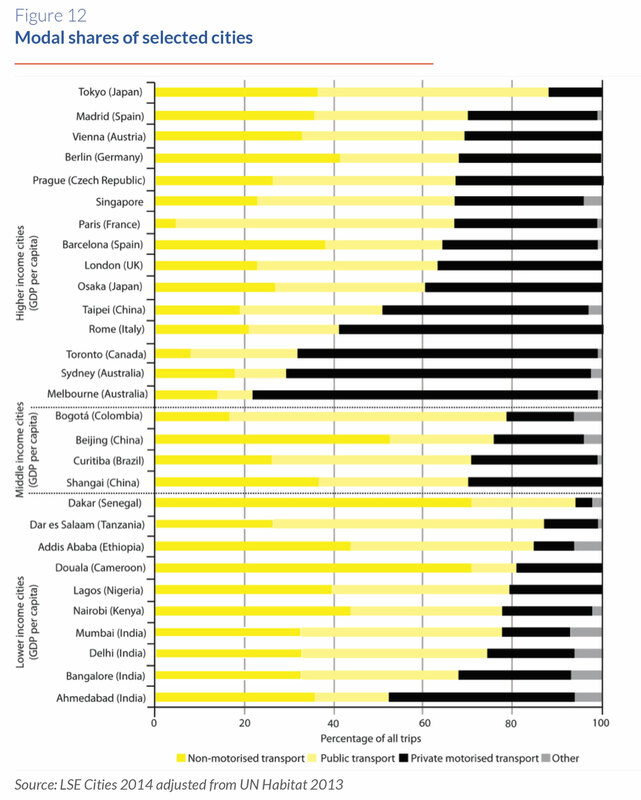 This paper conducts a comparative analysis of the results of five studies that examined the economic case for investment in low-carbon development in five cities: Leeds in the UK, Kolkata in India, Lima in Peru, Johor Bahru in Malaysia and Palembang in Indonesia.